Can’t sleep? Not to worry. Lucky Luna will tame any restless night. One warm cup before bed is all you need. Enjoy a great cup of tea and get ready to enjoy a great night sleep! Smooth, semi-sweet with notes of chamomile and lavender. 1. Use 1-2 teaspoons of tea blend in desired tea steeper 2. Bring one cup (6-8ounces) of water 212° 3. Pour water over tea blend 4. Steep for 10-15 minutes 5. ***Drink 45 minutes before bed for best results. chamomile, lavender, passionflower, Valerian Root, St. Johns wort, white willow, lemongrass, licorice root. Valerian root is known for aiding sleep and relaxation. White willow is great for pain relief and circulation. Passionflower is a relaxing herb that helps calm the mind and body. St. Johns wort is wonderful for anxiety and depression. 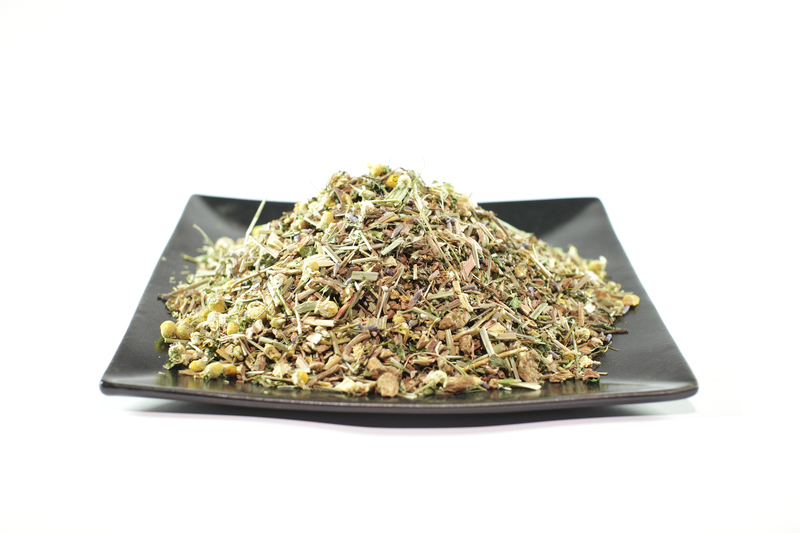 Both chamomile and lavender are great for soothing, calming and relaxing the mind and body. Did you know Valerian root is the active ingredient in over 100 over-the-counter sleep aids in West Germany - some made just for children. Lucky Luna is a great tea for relaxing with prior to bedtime. I found that it did help me sleep. Best to let it steep a while, 10 - 15 minutes. Then reheat in microwave to enjoy.